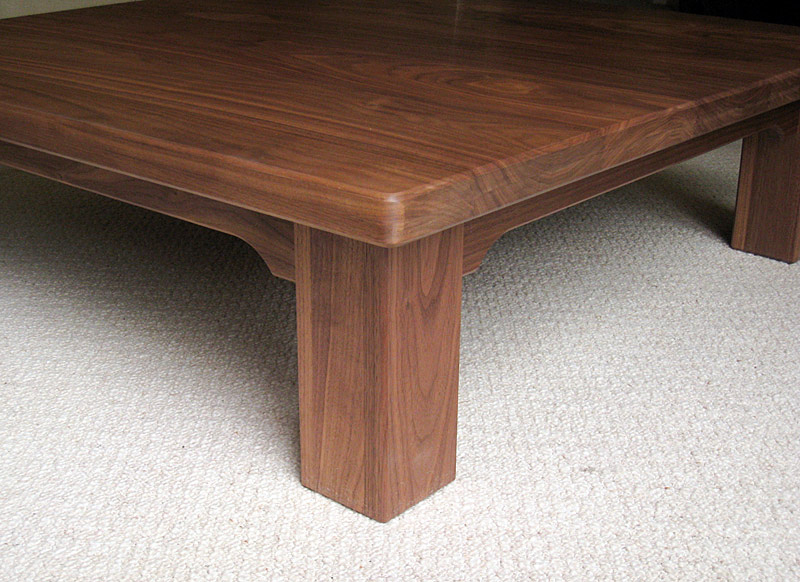 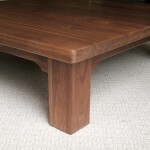 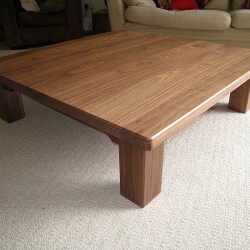 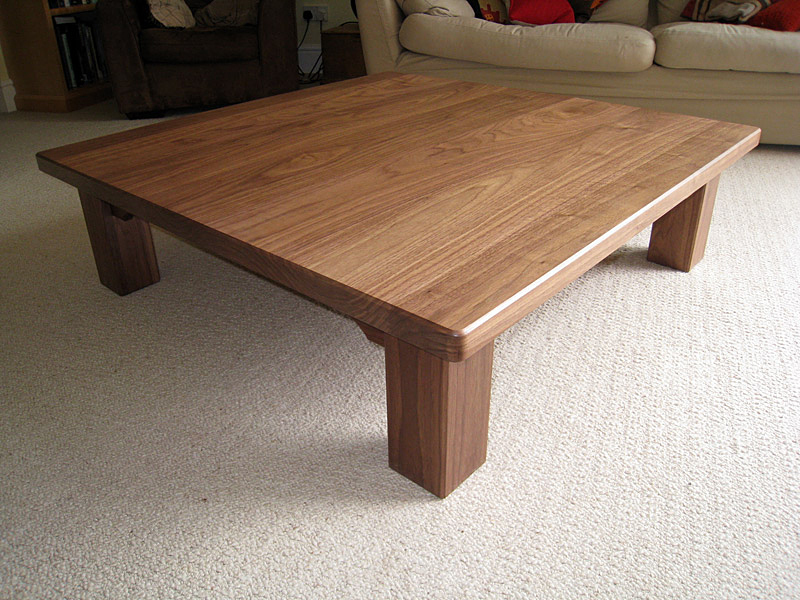 Coffee table in American Black Walnut with a brushed lacquered finish. 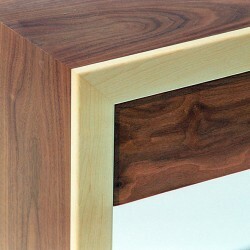 Size 1070mm x 1070mm x 305mm high. 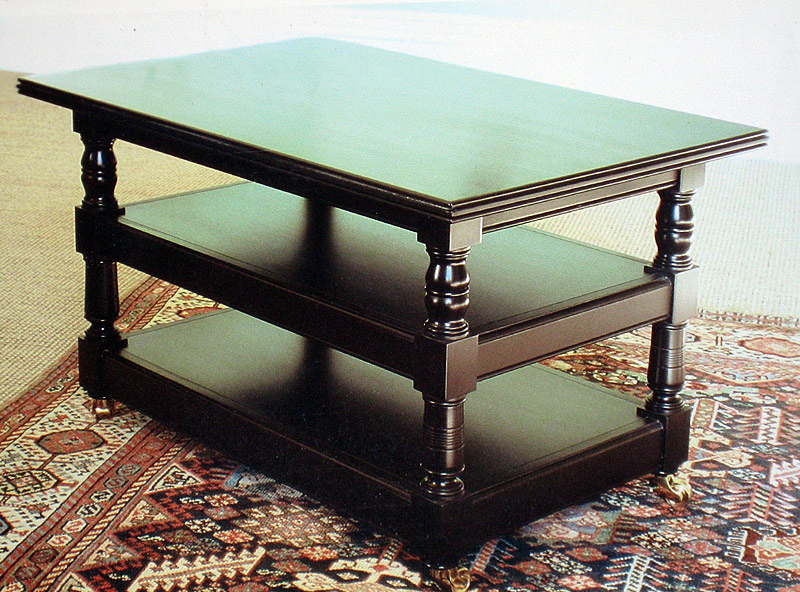 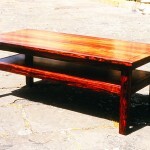 Coffee table made in solid Rosewood with shelf below. 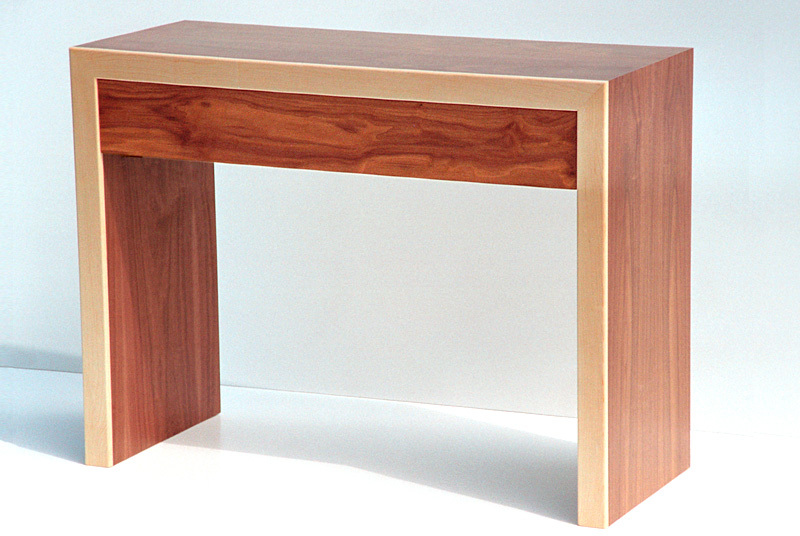 Size: 1070mm long x 460mm wide x 380mm high. 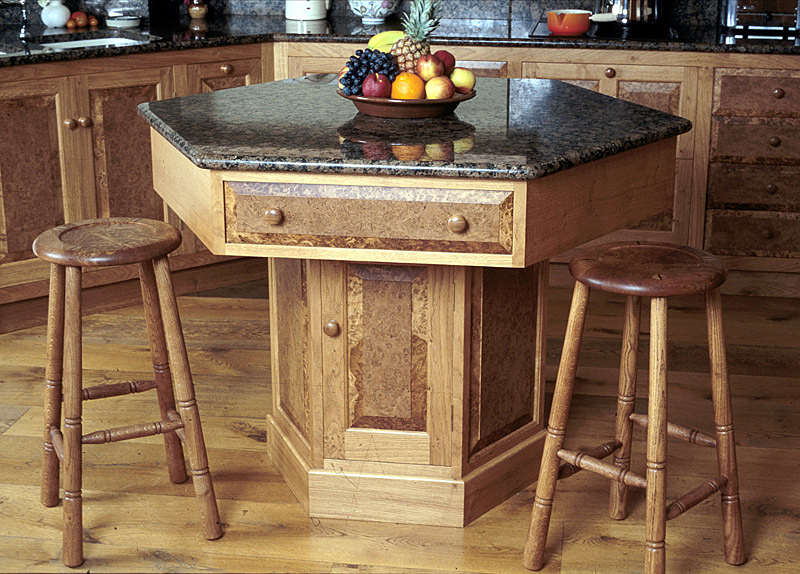 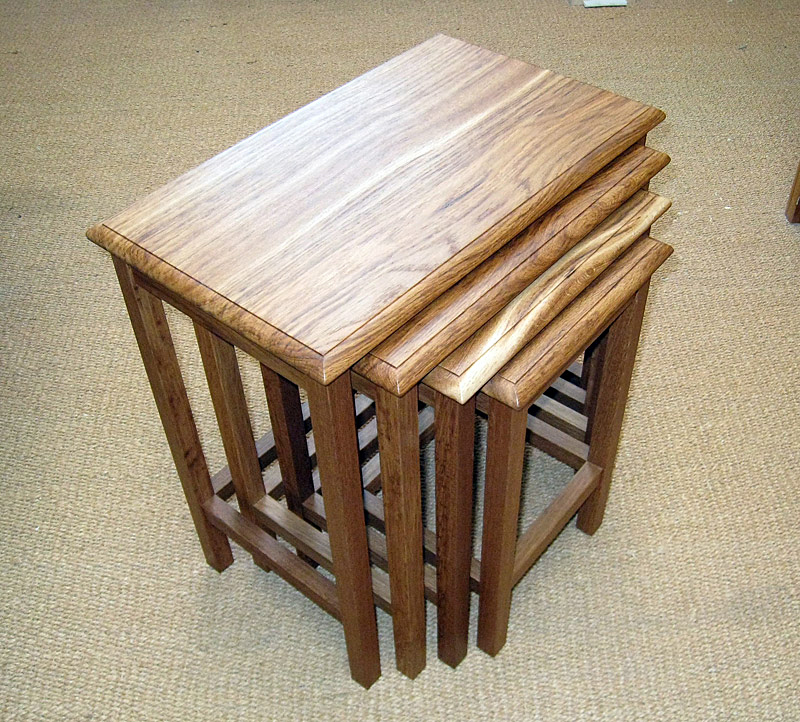 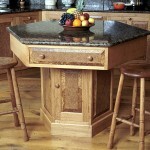 An unusual nest of four tables made in Brown English Oak. 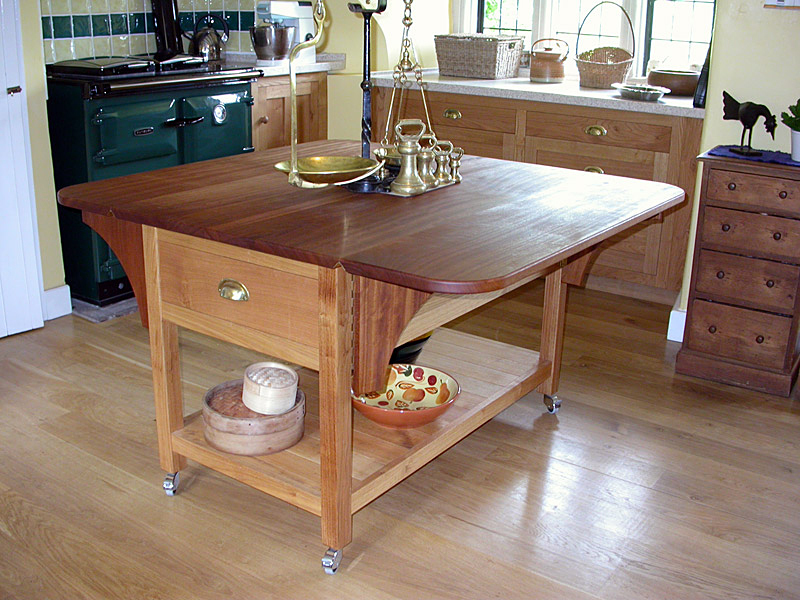 We often make kitchen work tables or island units as part of a kitchen layout, they provide really useful additional worktop space as well as a more sociable working area. 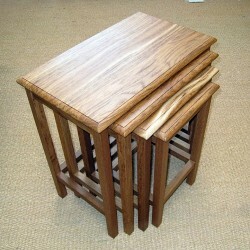 Here is a small selection of some of the pieces we have made. 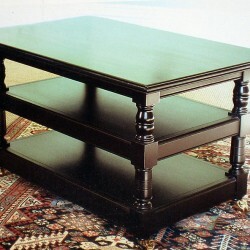 An ebonised side table deisgned to go with a Waring and Gillow magazine rack. 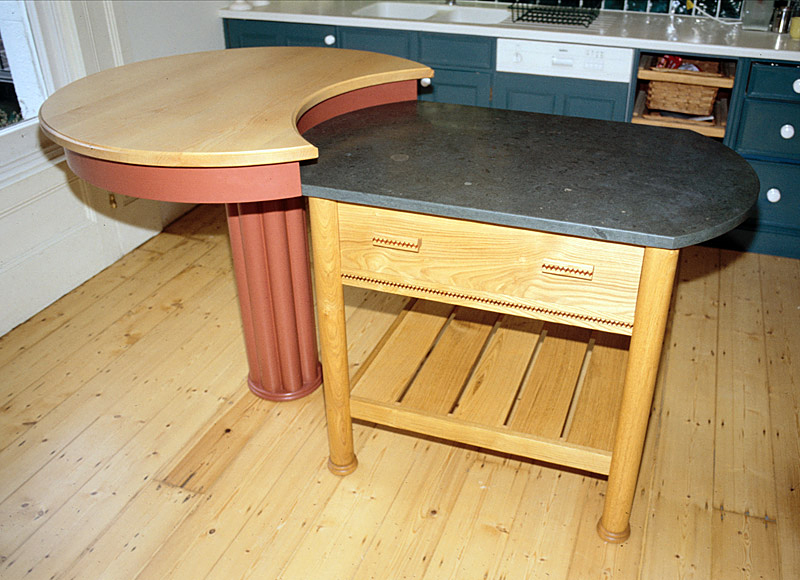 Black Japanned finish. 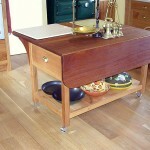 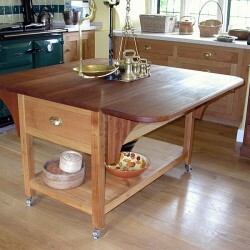 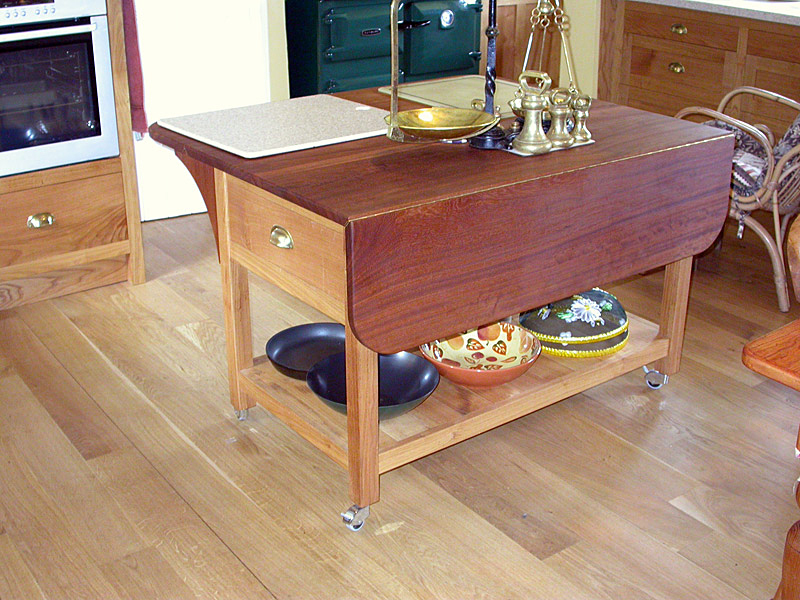 Drop-leaf kitchen work table in Sweet Chestnut with an Iroko top, all finished with linseed oil. 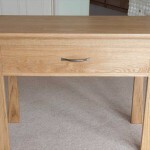 Console table with drawer, made to stand in a hallway. 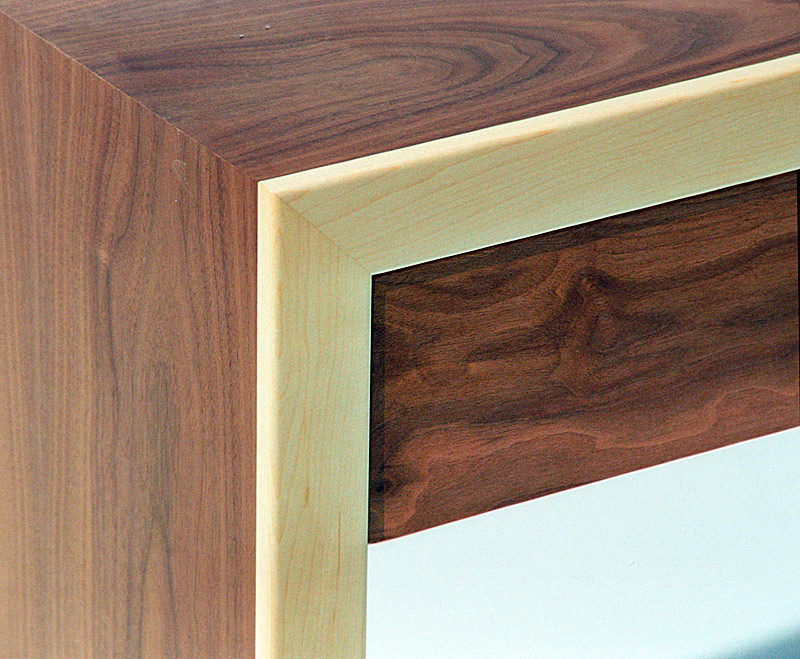 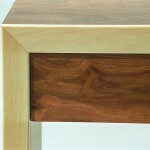 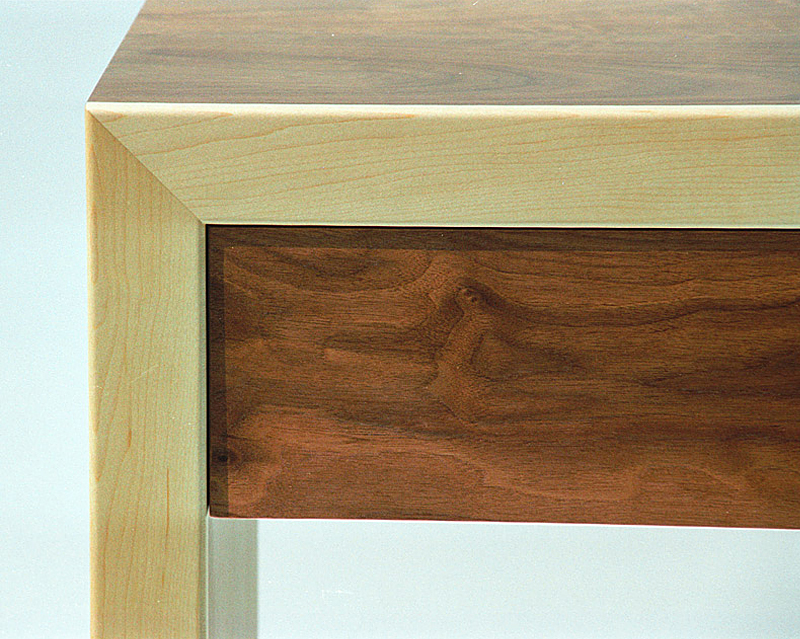 The timber is American Black Walnut with a Maple lipping on the front edges. The size is 1000mm long x 400mm deep x 750mm tall. 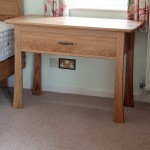 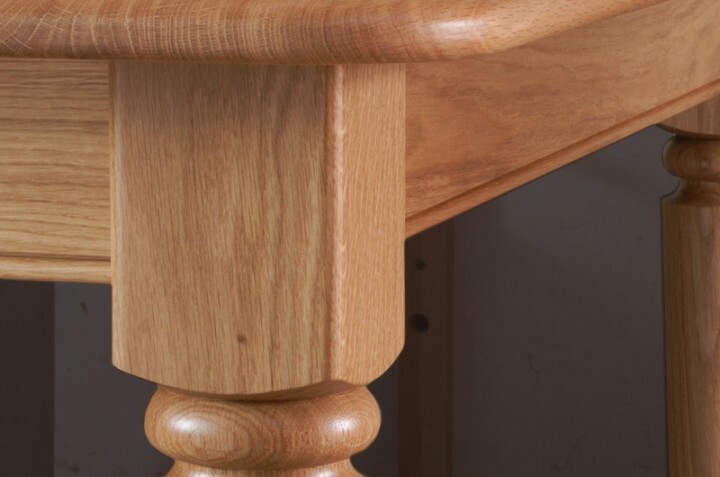 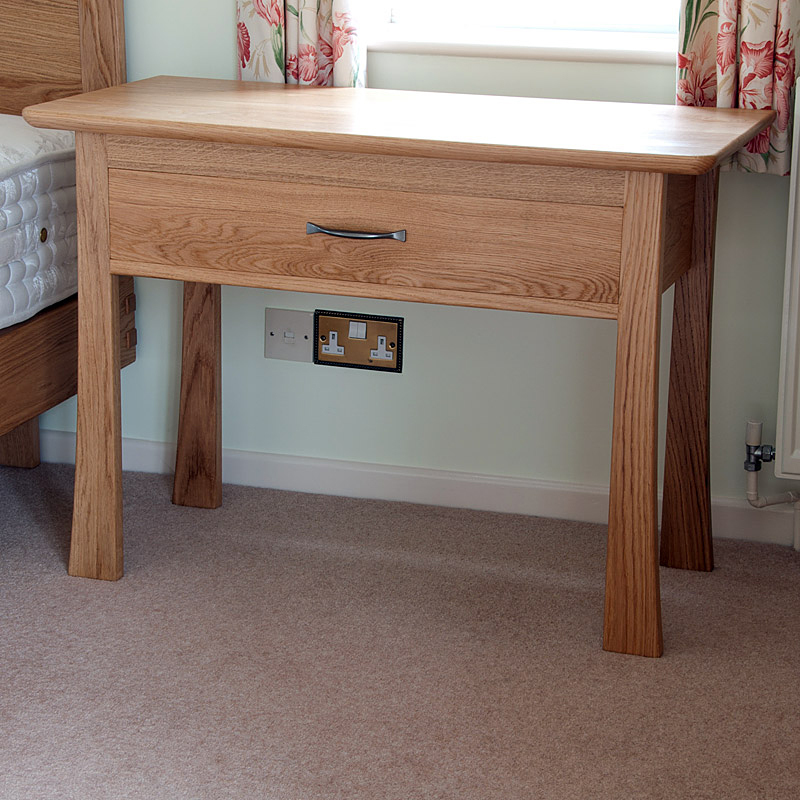 Oak bedside table, one of a pair made as part of a suite of bedroom furniture. 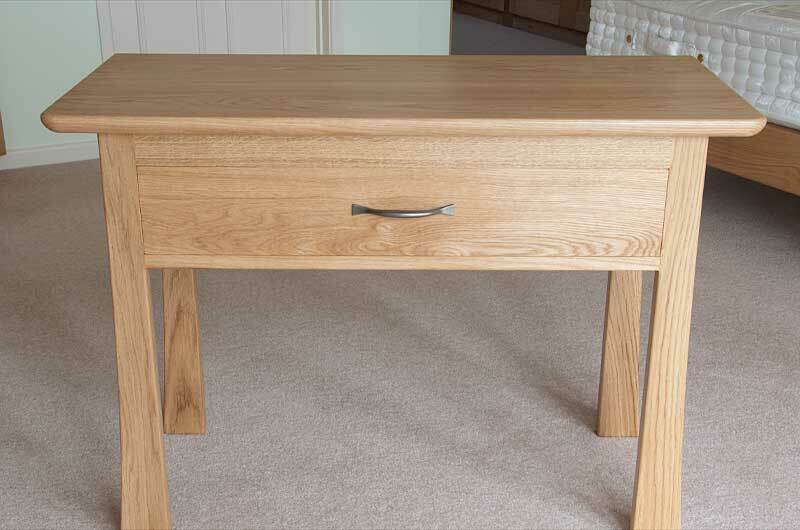 We have designed and made bespoke conference tables, coffee tables, nests of tables, console tables and kitchen work tables. 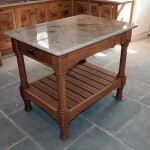 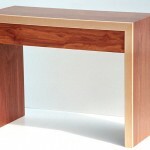 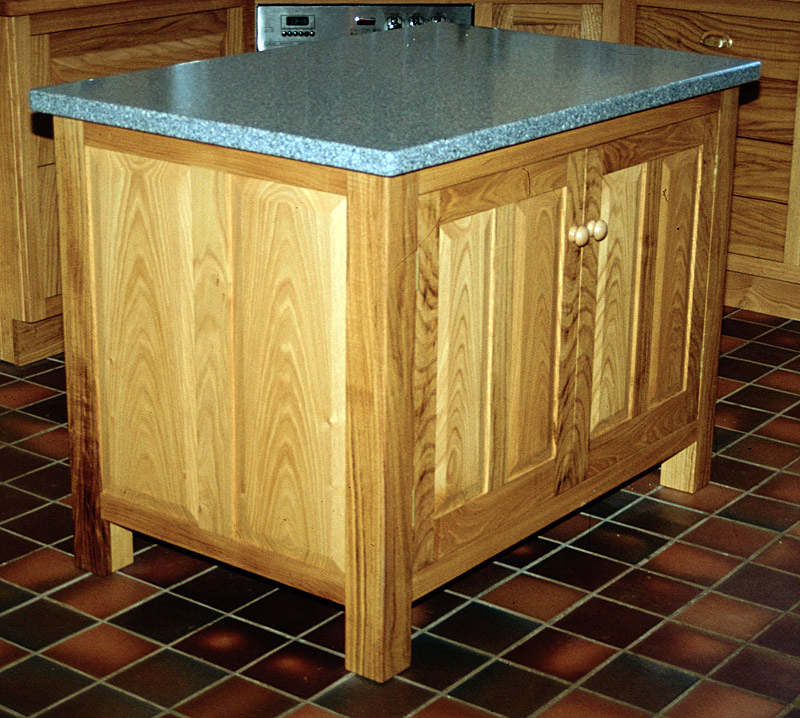 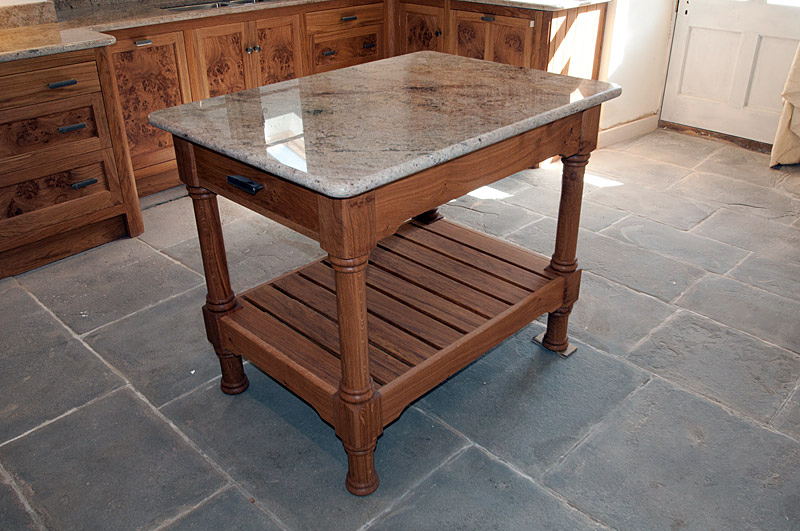 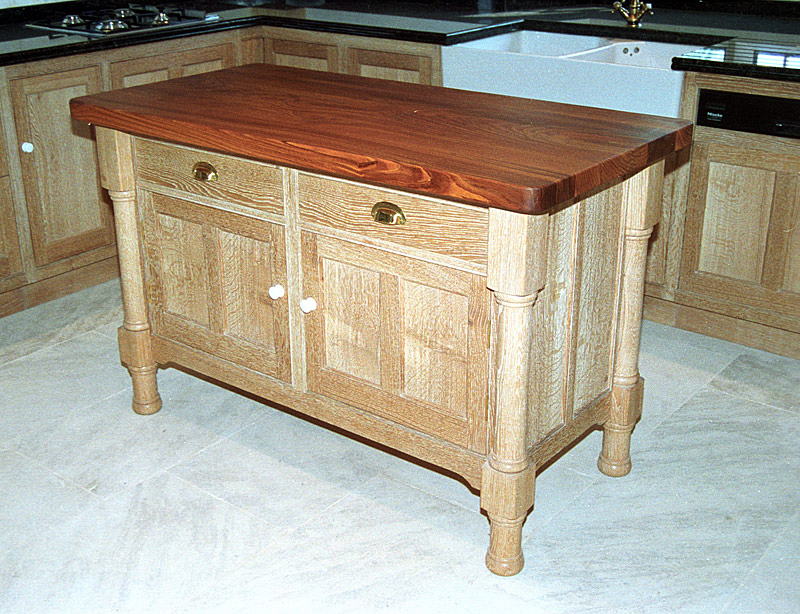 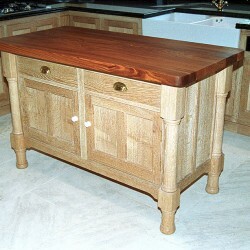 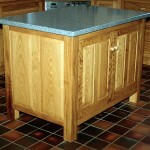 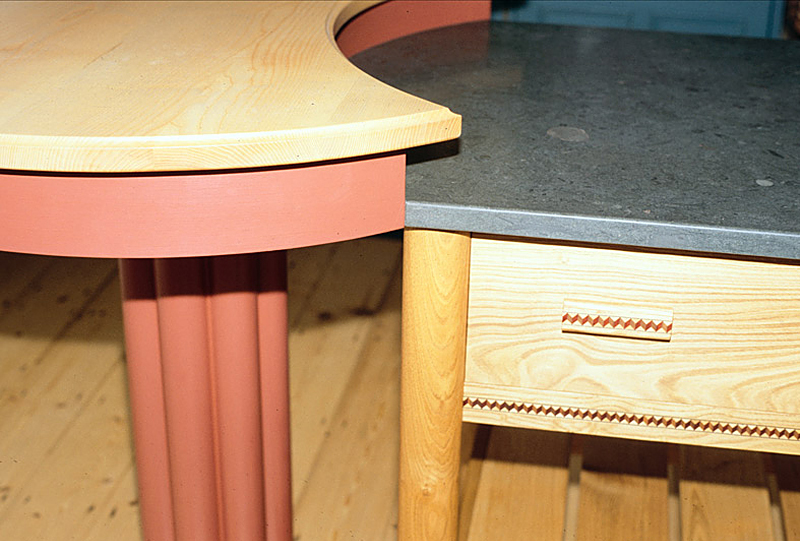 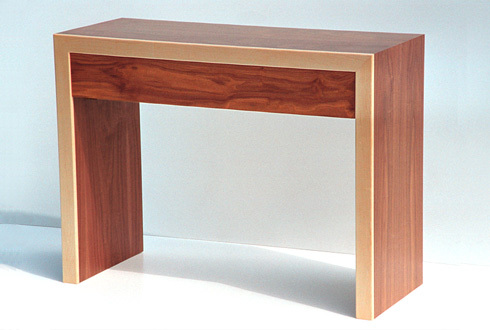 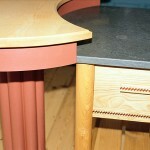 We can design a table to suit any requirements, in any style and in any timber. 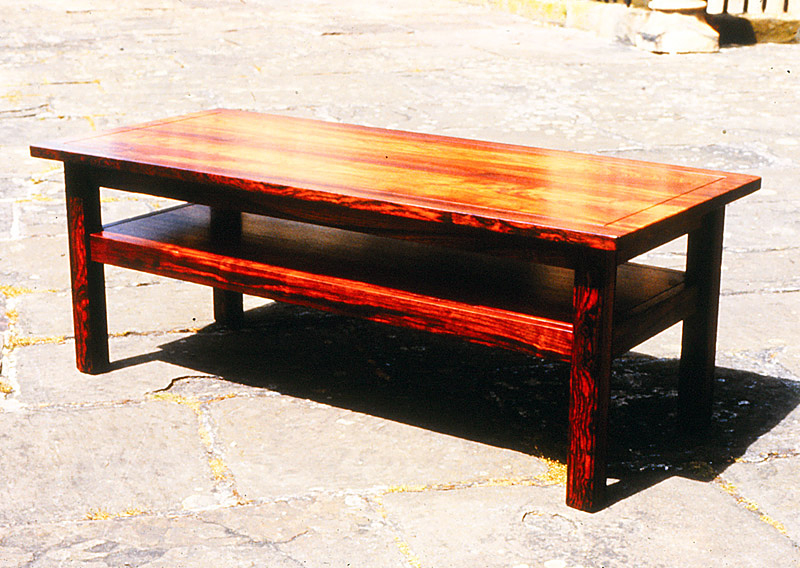 A visit to the workshop is always recommended as a first step, here you can view our handmade tables and wood samples and see for yourself the quality and scope of our work. 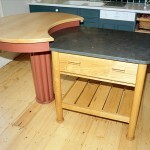 Following this we will visit your home if necessary before drawing up a design and preparing a quotation.